Home prices in 20 U.S. cities rose in the 12 months to November by the most in more than six years, showing the housing market will play a more central role in the U.S. economic expansion this year. 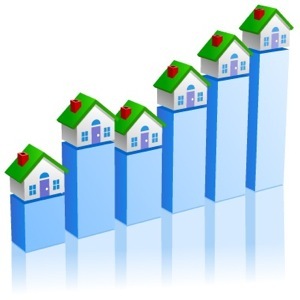 The S&P/Case-Shiller index of property values increased 5.5 percent from November 2011, the biggest year-over-year gain since August 2006, according to data released in New York today. Confidence sank more than forecast in January as consumers were stung by a drop in take-home pay, another report showed. Mortgage rates near a record low will probably spur a third consecutive advance in home sales this year, which will keep property values rising. The resulting gains in home equity may help support consumer sentiment and spending, the biggest part of the economy, softening the hit from the two percentage-point increase in the payroll tax that took effect this month. The New York-based Conference Board’s sentiment index fell to 58.6 this month, the weakest since November 2011, from 66.7 in December, the private research group said. The 8.1-point drop was the biggest since August 2011, the month after lawmakers wrangled over how to trim the budget deficit. “The souring in moods is a reflection of the brinkmanship in Washington and the higher payroll tax,” Mulraine said. Stocks advanced as earnings at companies from Pfizer Inc. to Valero Energy Corp. beat analysts’ estimates, returning benchmark indexes to five-year highs. The Standard & Poor’s 500 Index climbed 0.5 percent to 1,507.84 at the close in New York. The data come as Federal Reserve policy makers start two days of meetings today to discuss how to spur the economic expansion. Chairman Ben S. Bernanke will push to renew a commitment to purchase assets, according to a Bloomberg survey of 44 economists, even as some central bank officials warn his unprecedented balance-sheet expansion will impair efforts to tighten policy when necessary. India, meantime, today became the first major Asian economy to lower borrowing costs this year, after inflation moderated to a three-year low and the government called for cheaper credit. The Reserve Bank of India reduced the repurchase rate to 7.75 percent from 8 percent, it said in Mumbai. In the latest example of economic struggles in Europe, Poland’s economy in 2012 grew the least in three years. Gross domestic product advanced 2 percent from a year earlier, when it climbed 4.3 percent, the Central Statistical Office said in a preliminary report in Warsaw today. The median projection of 30 economists surveyed by Bloomberg called for the U.S. 20-city home-price index to climb 5.6 percent. Estimates ranged from 3.4 percent to 6.4 percent. The S&P/Case-Shiller index is based on a three-month average, which means the November data were influenced by transactions in October and September. The index accelerated from a 4.2 percent year-to-year advance reported for October. Home prices adjusted for seasonal variations climbed 0.6 percent in November from the prior month, matching October’s increase. The month-over-month gain was led by San Francisco and Minneapolis. Congress is now debating how best to reduce the nation’s budget deficit. Automatic spending cuts are slated to go into effect March 1. The protracted debate may be shaking consumers, as confidence about the current state of the economy and the outlook over the next sixth months both dropped, today’s Conference Board report showed. The share of consumers expecting more jobs to become available through the middle of the year was the smallest since December 2011. A report this week is projected to show the job market kept making headway in January. Employers added 161,000 workers to payrolls this month after a 155,000 December increase, according to the median forecast in a Bloomberg survey before a Feb. 1 Labor Department report.